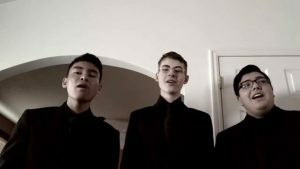 PIENA VOCE is a new Classical Pop trio from Utah. 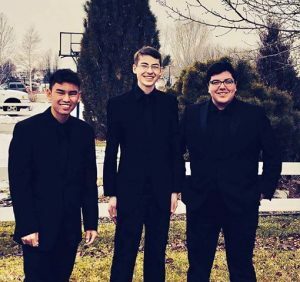 The group is comprised of Camden Boyd (baritone), Galo Lastra (tenor), and Koji Ericson (tenor). The members of the group met online last December. Camden found Galo on KSL in response for the formation of a vocal group. They met Koji a few days later. 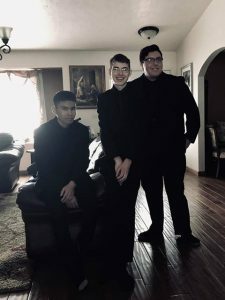 Their genre of music ranges from Opera all the way to Pop, thus their sound is a unique blend of Opera and Pop. They get a lot of influence on their music from choir, and from music artists such as GENTRI, as well as other people. 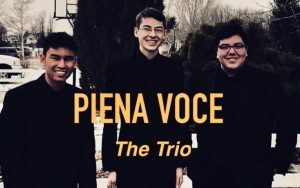 You can follow PIENA VOCE on FaceBook, Instagram, and YouTube.